Happy Super Bowl Weekend, everyone! Personally, I’m sold out for college football but don’t care too much for NFL. However, I’ll never turn down an opportunity to get together with friends, eat junk food, cheer loudly, and watch dudes in tight pants hit each other. So I love Super Bowl parties! 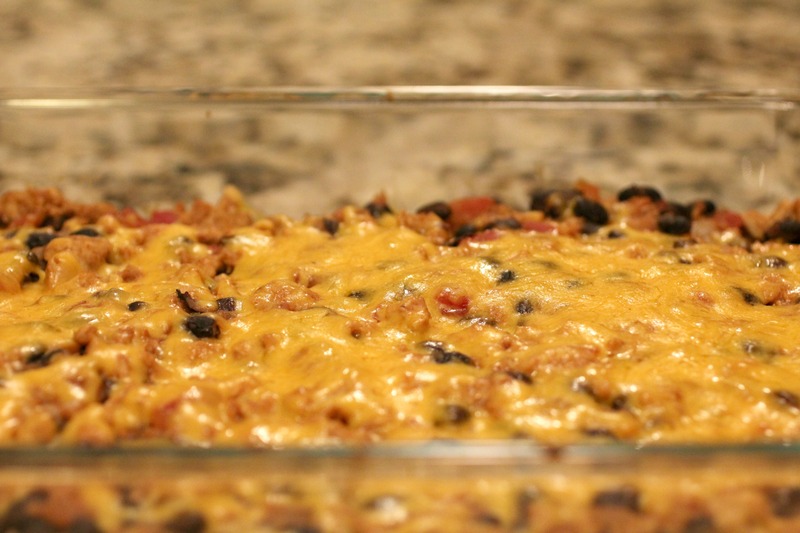 This nacho casserole is my contribution to the influx in football party food that has overtaken the internet recently. But get this…it’s Weight Watchers! And yes I know, super bowl parties are supposed to include junk food, right? Men aren’t supposed to care about calories, especially while the big game is on! Well I can guarantee that the men will never know it’s low cal. And ladies, you can just smugly chow down on this delicious feaux junk food while you watch those hilarious commercials in between plays (yes, that was a stereotypical sexist comment…it’s also ironic since I’m a woman who LOVES football). This stuff is SO GOOD, and in my opinion, makes the best nachos ever. I like that it includes meat so it could be a full meal or just a snack. I also like that it all coheres together when it’s baked. 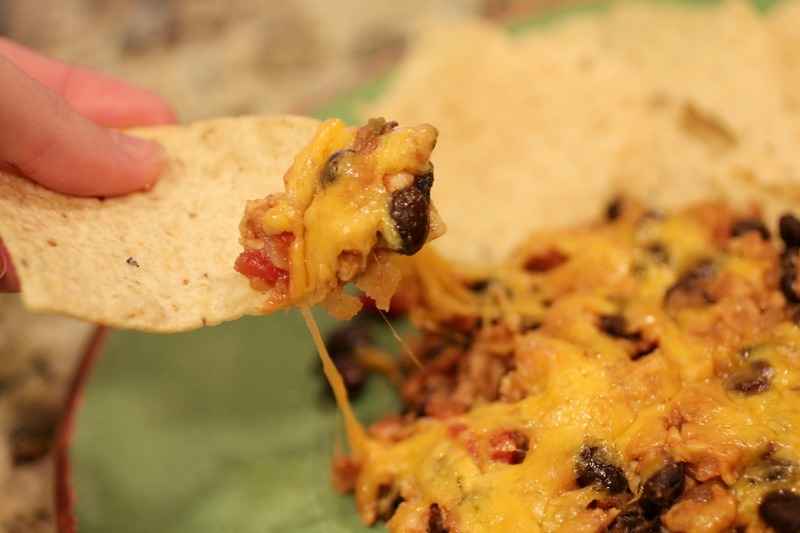 I hate picking up a nacho and all of the goody falls right off the chip and back onto the plate…it’s frustrating. 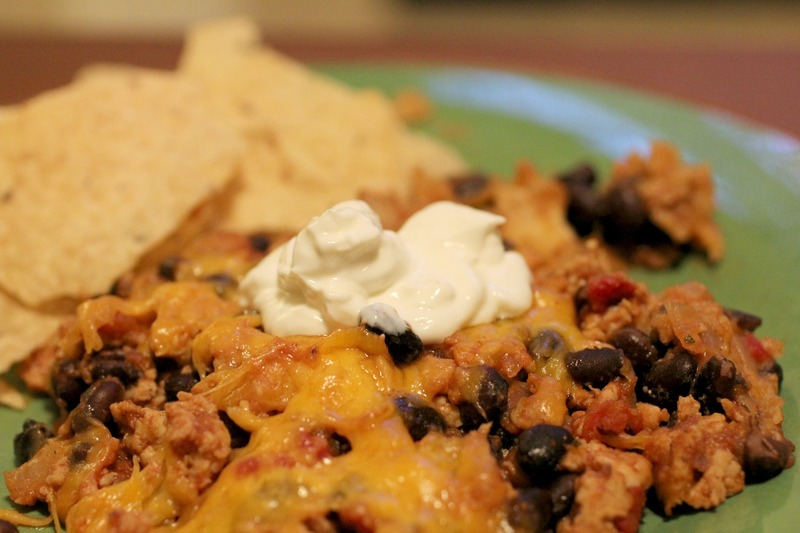 With this dish, it’s more like a nacho flavored dip than plain ol’ nacho. This is guaranteed to be a hit at your Super Bowl party on Sunday! Optional: Other toppings such as jalapenos, olives, etc. Heat oil in a large skillet. Add the onion and garlic and sautee until soft. Add meat and taco seasoning. Cook, breaking up meat with a spatula, for about 5 minutes. Add beans and salsa. Mix well and continue to cook until salsa thickens. 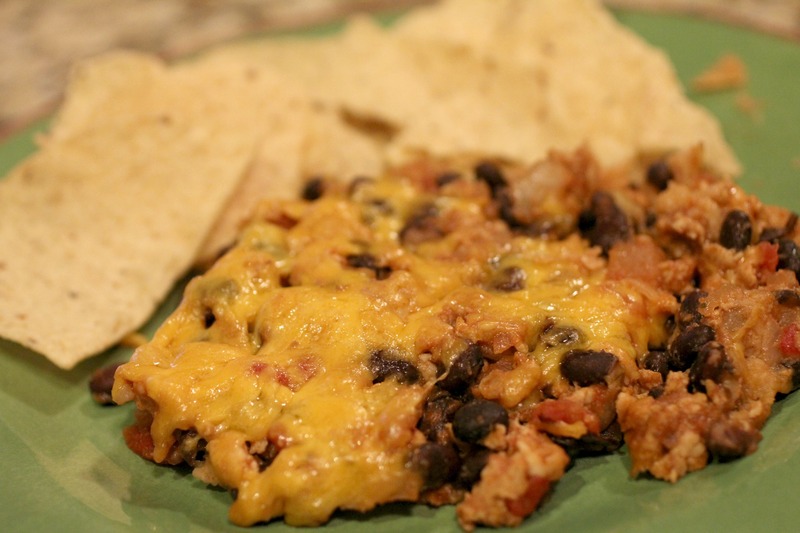 Spread the meat and bean mixture in large, sprayed baking dish and top with cheese. Add sliced jalapenos or other toppings that you want to be cooked. Bake for 20 minutes or until cheese is melted and gooey. Serve with Tostito's chips and other optional garnishes like sour cream, guacamole, etc. This looks so scrumptious and amazing! I’m ready to come over to your house for the Super Bowl! Thanks for sharing. Thanks Teresa! Sadly I won’t be attending any Super Bowl parties today, so I won’t get to make it for anyone! What is the nutrition for this? Looks yummy!! What is a serving size? This looks great! Oh oops! I didn’t put the servings! This makes 6 servings (and I’ve updated the post to reflect that). Thanks for catching my mistake! Absolutely enjoying your easy but very tasty recipes! Thanks for posting them! Thanks so much Lucy! It’s nice to hear positive feedback :-). Glad you find my site helpful!